Piece of Cake Consulting, is an award winning, full service event and wedding planning company serving the greater Madison, Wisconsin area. Whether you need help planning your wedding day or an upcoming corporate event, we can help. As a wedding planner I work with individuals, couples and families to help plan and manage their wedding day. I specialize in producing extraordinary events for every budget. As a Certified Bridal Consultant, I believe beautiful and memorable weddings don't have to break the bank. 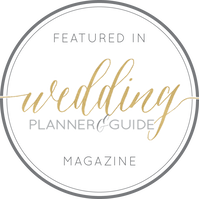 I understand the stress that comes with planning a wedding and will help you design and execute a personalized plan for your special day. Whether it is an intimate gathering, or lavish event, you and your guests will have the experience of a lifetime. Piece of Cake Consulting, LLC offers 7+ years of experience implementing unique, stylish, fun weddings of all shapes and sizes. Take a look at our wedding consulting packages and see what we have to offer. I am currently booking 2019 & 2020 weddings!